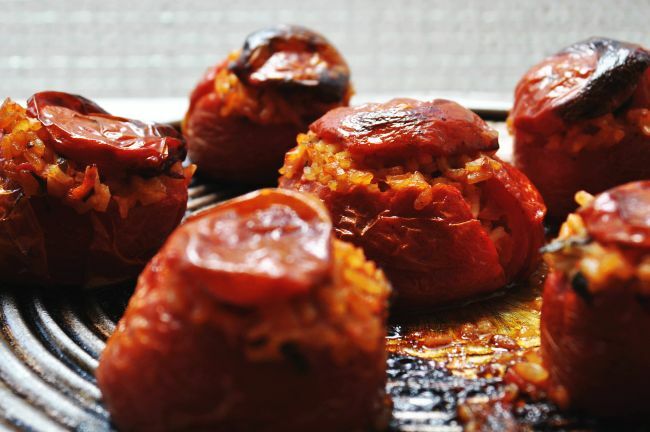 Today my Nonna showed me how to make these gorgeous tomatoes stuffed with rice. She was actually surprised when I told her that her recipe was naturally vegan and gluten-free. 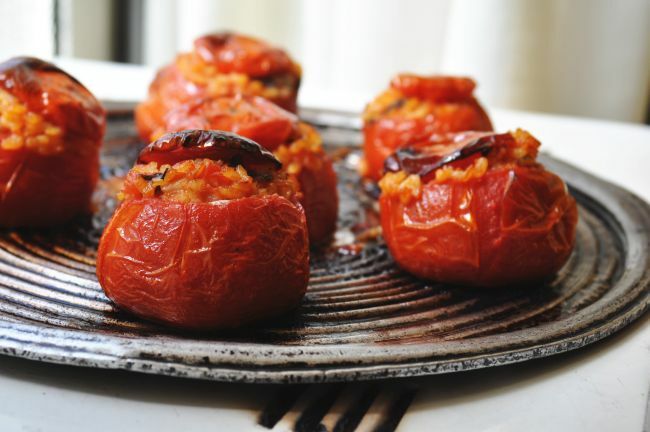 These are simple to make and look quite impressive too! This would be great idea for a dinner party when you want to show off some culinary skills while offering something that hopefully all of your guests can eat. 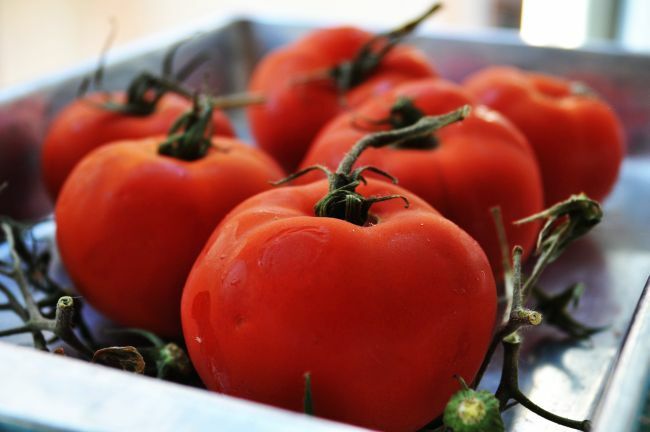 Wash the tomatoes, removing any stems. 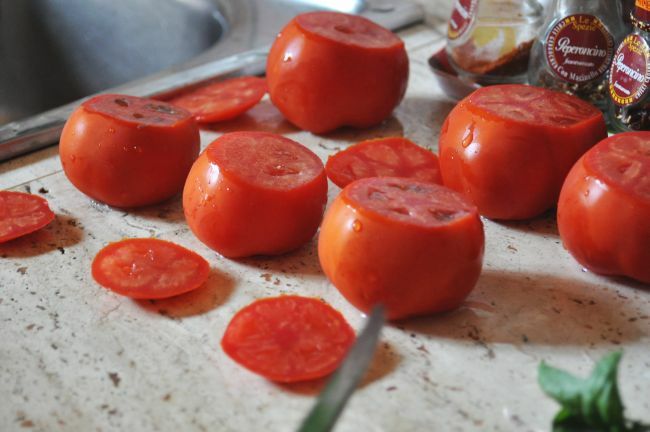 Turn the tomatoes upside down (so they are more stable) and slice off a thin piece at the top. Set the tops of the tomatoes to the side. 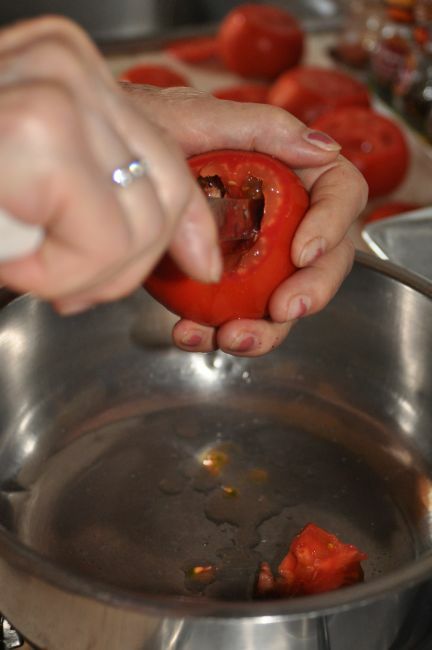 Using a knife and spoon, empty the insides of the tomatoes into a medium-sized pot. 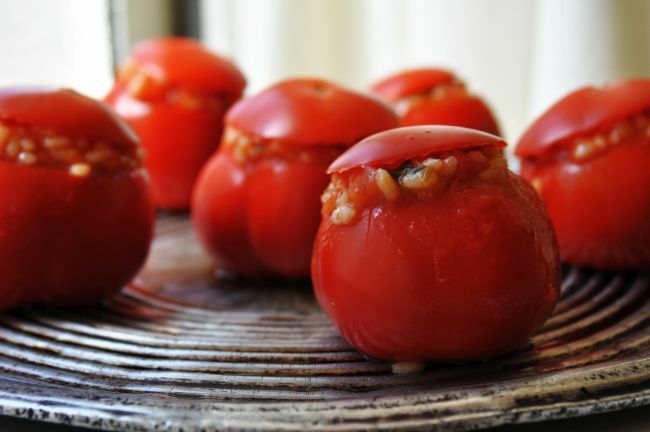 Once all of the tomatoes resemble bowls, lightly salt them on the inside and turn them upside down onto a plate for a few minutes to get rid of excess water. 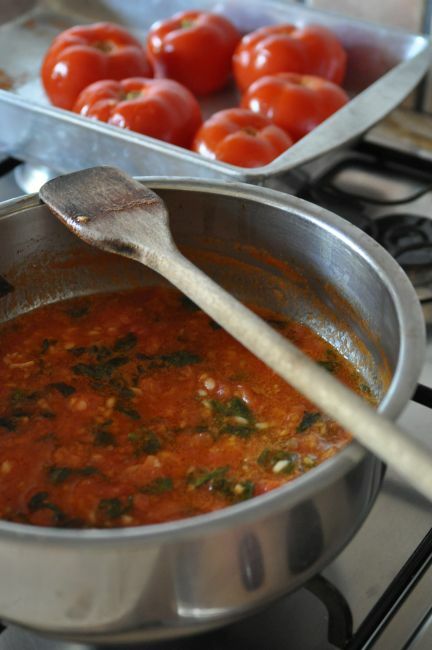 While this is happening, add the olive oil, white wine, finely chopped garlic, hand-torn basil and parsely, rice, salt and pepper to the pot with the tomatoes’ insides. Mix everything well and place on medium heat. Let it boil for just a few minutes before removing it from the heat to cool. The rice doesn’t need to cook all the way because it will cook in the oven. While waiting for the rice to cool, preheat the oven to 180 degrees. 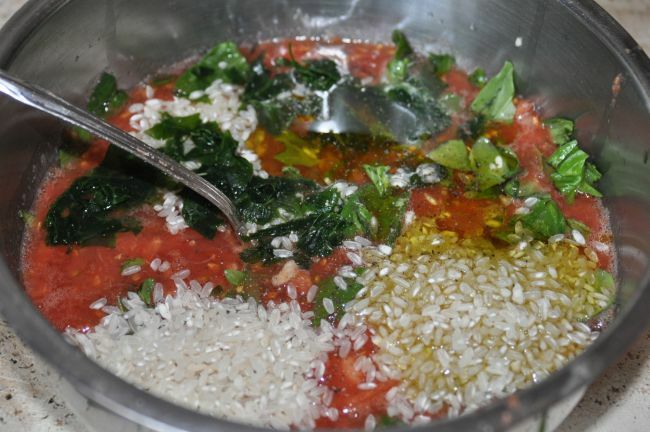 Once the rice has cooled, mix it well and fill the tomatoes. Place the tops of the tomatoes back on each tomato. Bake in the oven for approximately 20-30 minutes.